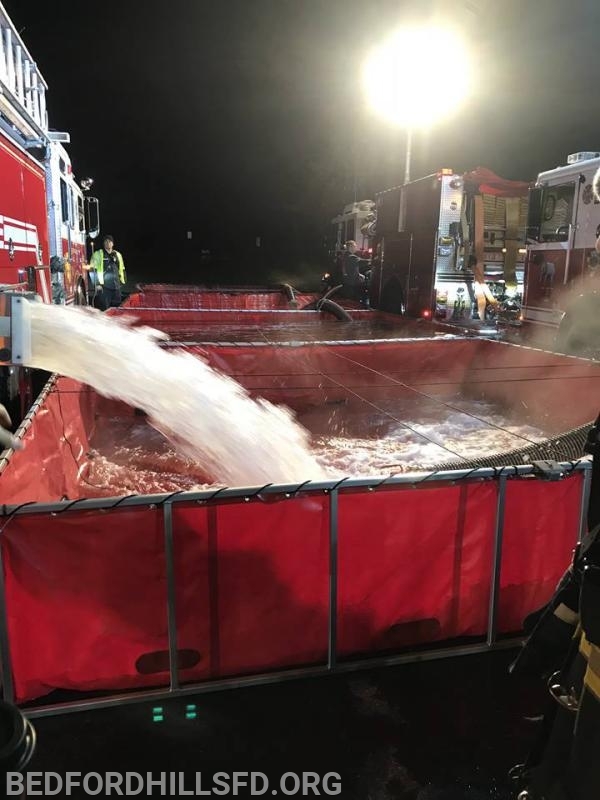 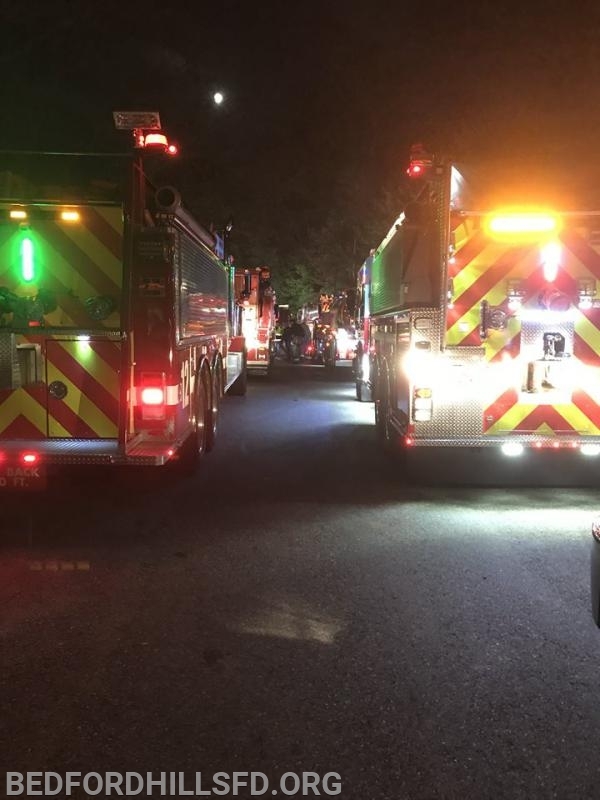 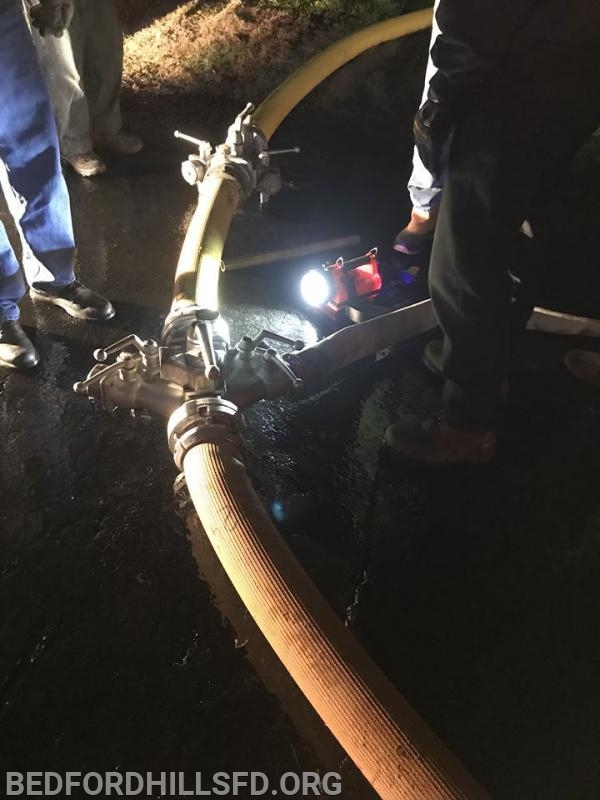 On Monday evening Bedford Hills Fire Department -Tanker 5 participated in a tanker shuttle drill hosted by Pound Ridge Volunteer Fire Department. 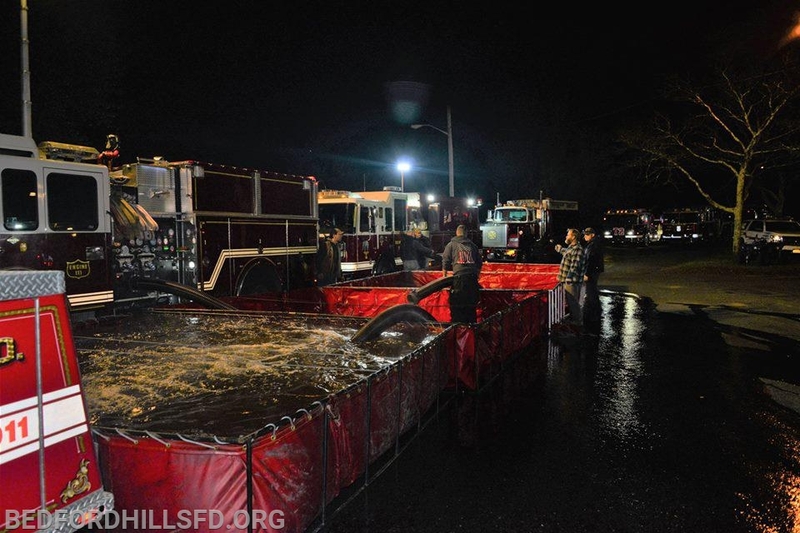 12 Tankers participated in the drill from Westchester and Fairfield (CT) Counties. 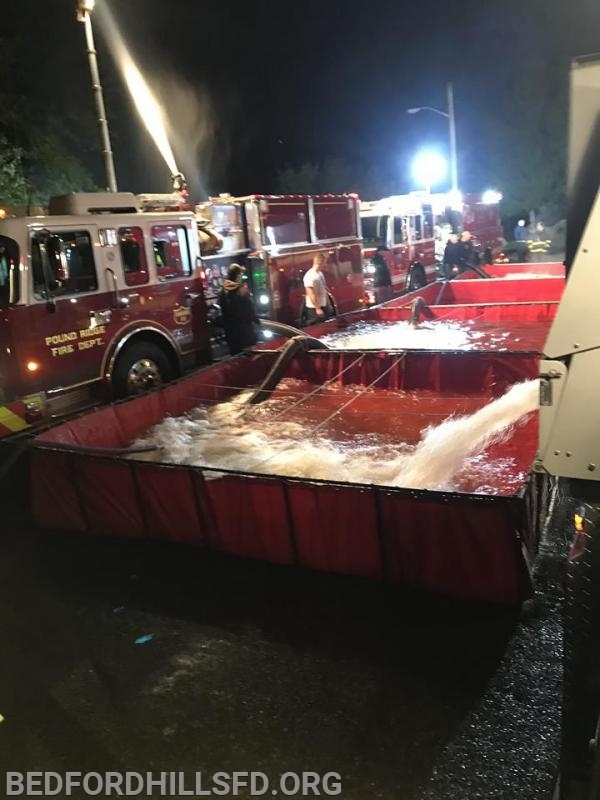 The 12 Tankers moved 187,950 gallons of water in 58 shuttles. 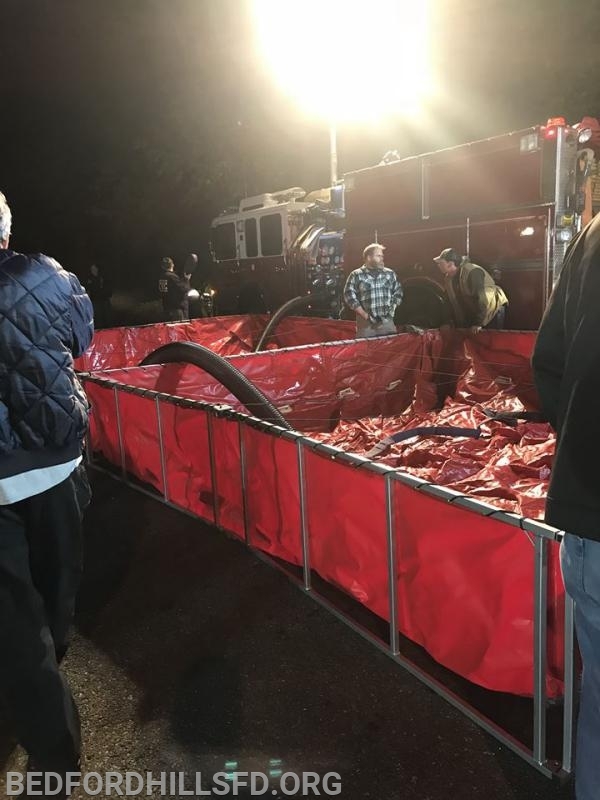 There was a goal to flow 2,000 gallons of water and we successfully averaged 2,088 gallons a minute for 90 minutes! 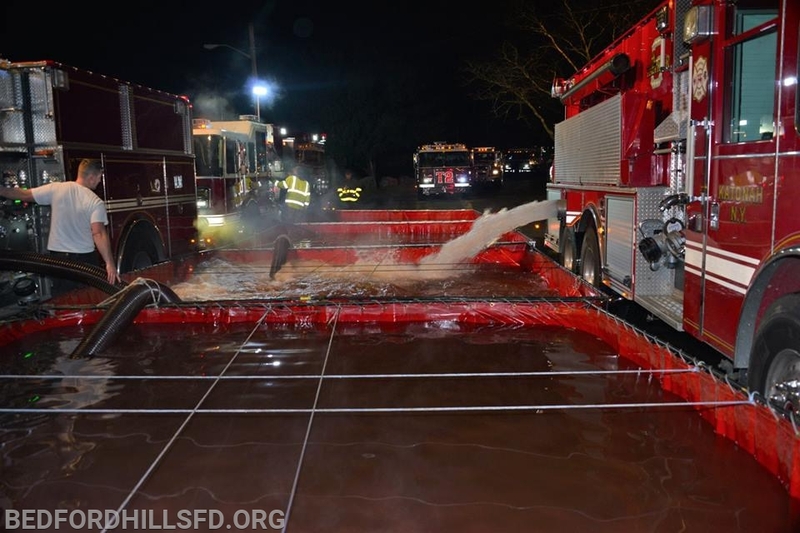 A "tanker shuttle" is where Firefighters have to move water via tankers due to a lack of fire hydrants in the area. 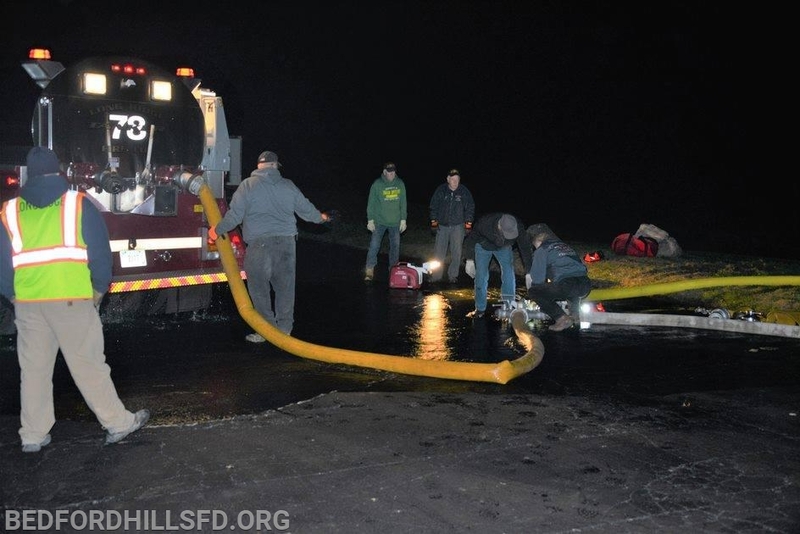 It is instrumental for Departments in our area to have an adequate water supply to ensure a successful Fireground operation. 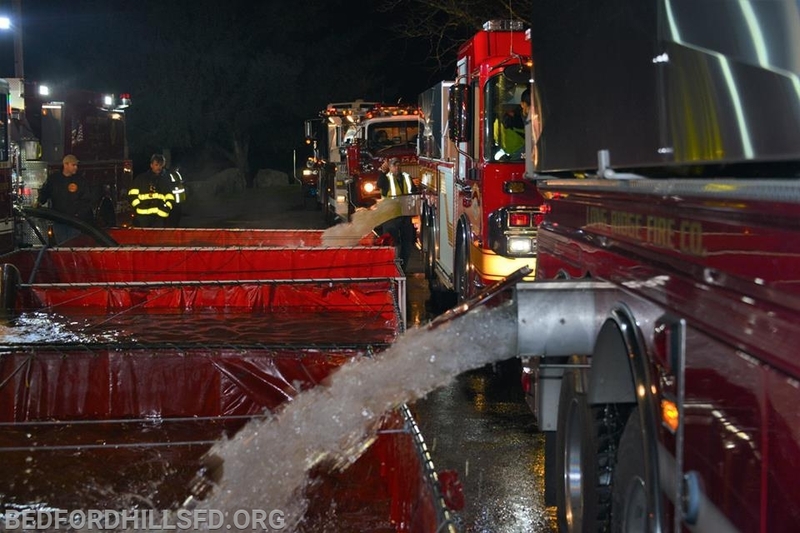 The Bedford Hills Fire District is nearly 60% unprotected by the municipal water system. 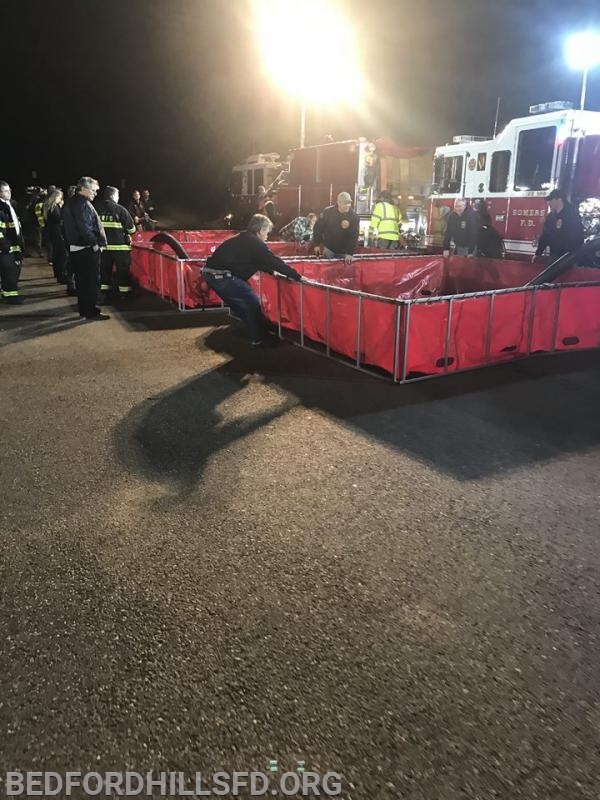 Participating and hosting water supply drills are essential for real time incident success!